I am trying to figure out which pin on the ECU is responsible for selecting between the two different map sets. Based on the schematic from this '08 HRC manual (http://www.firebladezone.com/docs/08CBR1000-HRC.pdf) it seems like the mode selector is pin24 on the gray connector. This pin is not connector to anything on the non-HRC schematic. Can anyone with access to a newer HRC manual see if you can confirm the mode switch pin, or better yet, post up a schematic? Thanks. For 2017 SP2 HRC ECU pin 29 grey connector is FI\IGN Mode switch which is mapped to left of Hazard Switch when using stock left bar switch cluster or Map Selector on HRC left bar switch cluster. Pin 29 on the street SP2 ECU grey connector is open. Thanks. Pin 29 is in use by something else on the 08-12 havent looked at newer models. 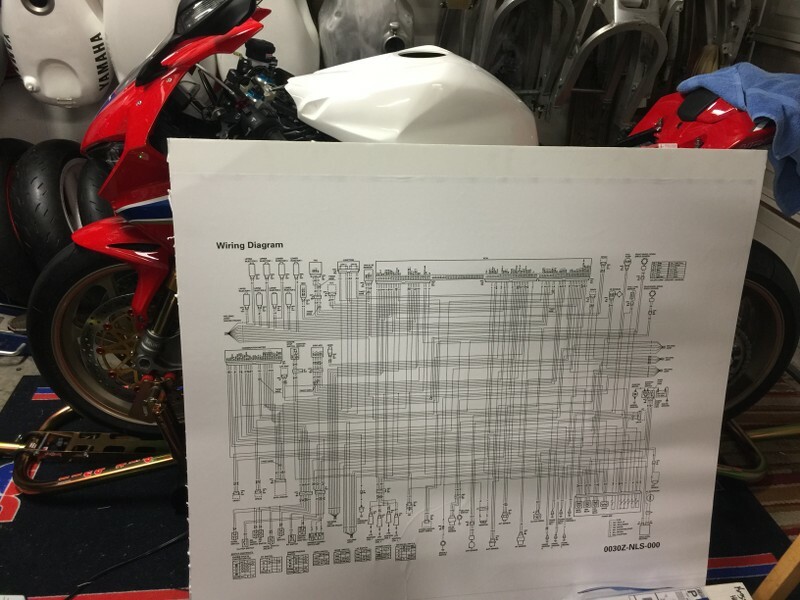 On that 08 HRC schematic the ECU pin is called "MOD SW" but is also connect to the hazard switch. I wont be able to test this until my order from cycleterminal arrives. In this discovery process I should imagine the actual pin across model years is not important, just that the same pin being used for an HRC specific function is not being used for anything on the stock ECU is probably more important. I think the pin is going to be consistent on all the standard Keihin (non-HRC) ecus. All that you need to do is connect the pin to ground and the second set of maps kick in after the next gear change. EDIT: Pin 24 on the 2006 HRC schematic goes to an empty connector. Pin 24 for 2017+ is a common ground on both stock and HRC grey plug. I think it fair to say that nothing on the 2017 is going to be similar. I don't think that is the key take-away here - I would not be so concerned with finding literal matching pin outs across years. That thought process may limit your discovery. I might focus on common use and vacant pin outs across stock vs HRC ECU for the same years to narrow down on functionality discovery. I might focus on common use and vacant pin outs across stock vs HRC ECU for the same years to narrow down on functionality discovery. Maybe its just late and I need to go to bed, but that is what I am doing. The 08-14 schematic only has a few empty pins on the gray ecu connector (which is sensors/inputs) and pin 24 is one of the empty ones. So far the 07 and 08 HRC kits use pin 24 for the mode switch so it seems like that is the best bet to start testing for me to get mode switching working on my stock 2012 ECU. 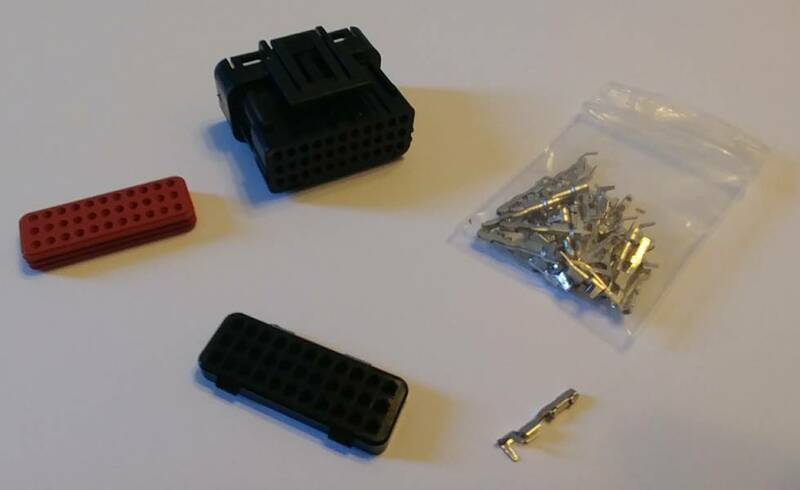 My ECU connector came and it has way more pins than I will need for my bench harness. I should be able to use one of these pins to add the map switch to my factory harness.